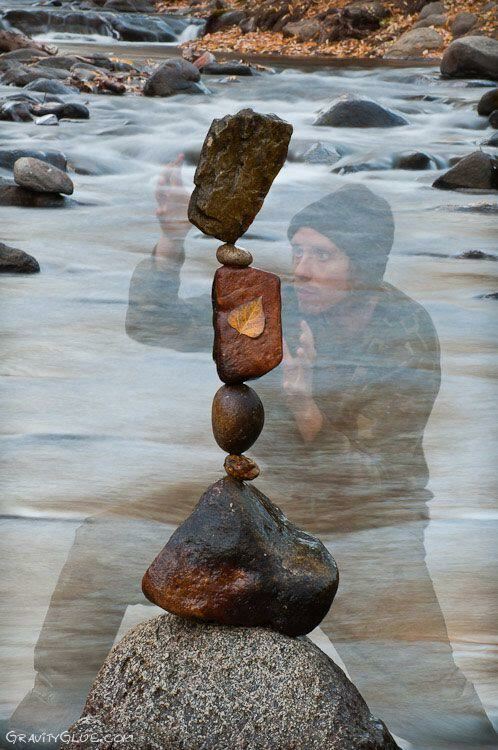 Michael Grab is an artist that has been ‘rock balancing’ since 2008. Much of his recent work has been done around the Boulder, Colorado area. Grab finds the process both spiritual and therapeutic. Grab explains: “The most fundamental element of balancing in a physical sense is finding some kind of ‘tripod’ for the rock to stand on. Every rock is covered in a variety of tiny to large indentations that can act as a tripod for the rock to stand upright, or in most orientations you can think of with other rocks. By paying close attention to the feeling of the rocks, you will start to feel even the smallest clicks as the notches of the rocks in contact are moving over one another.